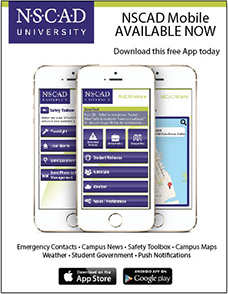 NSCAD University has a variety of Scholarship and Bursary opportunities for current students. Each semester an Awards application will be sent to all students via NSCAD e-mail. Students are encouraged to fill out these applications and return them to the Office of Student Experience for Award consideration. The next application will be e-mailed out to students on October 1st 2018. Award opportunities will also be sent out via NSCAD student e-mail accounts.